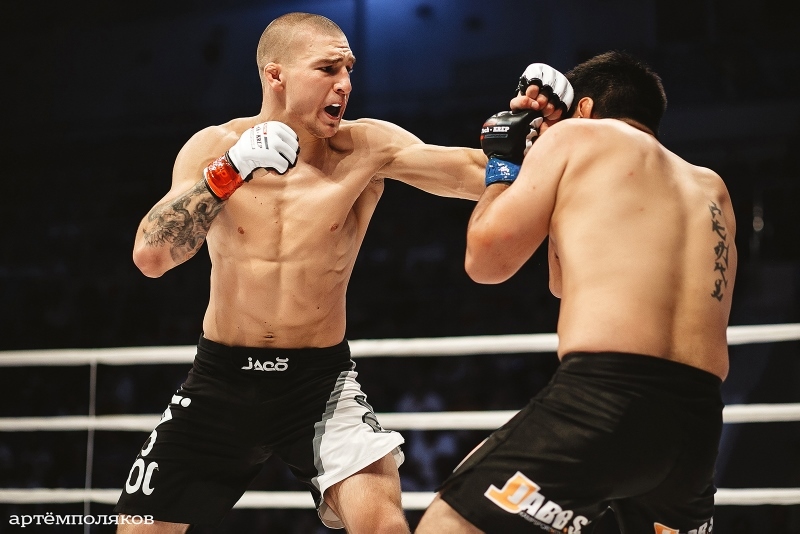 According to the promoter of the tournament Alexey Yatsenko, Yaroslav has a great potential: “Amosov – one of the most promising fighters of the Post-Soviet Space regardless of weight category . A lot of European and American experts think so. Despite his youth (so Jaroslaw is only 22 years old now), he has seen by foreign managers and has had the offers to fight in such great promotions as the UFC and the Bellator. He is still young, and he has a lot of space to grow and to seek for. Although it is very difficult to look for his opponents now: many athletes with good enough record, refuse to fight with him. Amosov is included in the list of top-10 fighters from Europe, which experts want to see in the UFC, and he is the youngest one among these ten sportsmen”.